Last week we shared details of our first-ever audiobook: The Horizontal Man by Helen Eustis, a 1946 novel included in our upcoming two-volume anthology Women Crime Writers: Eight Suspense Novels of the 1940s & 50s. 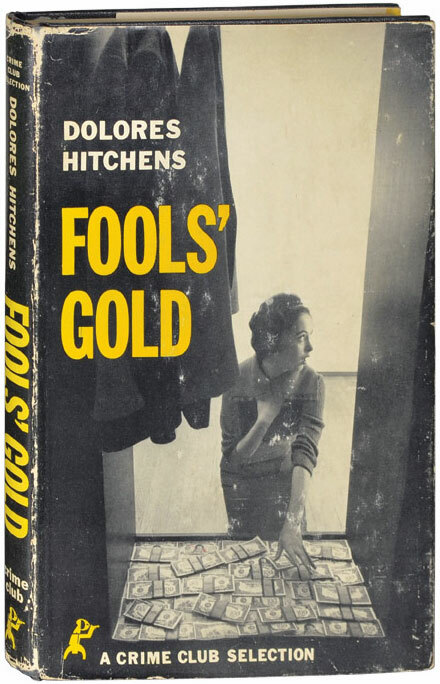 Today we’re equally excited to give a sneak preview of our second audiobook, Fools’ Gold (1958) by Dolores Hitchens, another title in the Women Crime Writers collection. The story of two juvenile delinquents fresh out of lockup and a sheltered young orphan girl who hatch a robbery scheme that goes badly astray, Fools’ Gold is perhaps best known today as the inspiration for Jean-Luc Godard's 1964 film Bande À Part (Band of Outsiders). in Los Angeles, June 2015. Longtime audiobook producer Patti Pirooz, who is also handling The Library of America’s Horizontal Man audiobook, is shepherding Fools’ Gold through production in Los Angeles. 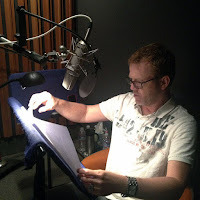 Behind the microphone is Scott Brick, a writer, actor, and veteran audiobook narrator with more than 600 titles to his credit, ranging from bestsellers like Moneyball and The Bourne Identity to classics like In Cold Blood and Light in August. Publishers Weekly named Brick its “Narrator of the Year” in 2007, and he has won two Audies from the Audio Publishers Association and over fifty Earphones Awards from AudioFile magazine for his work as a reader. Want to hear a sample of the narrating chops that have made Brick so lauded in his field? Enjoy a brief excerpt of his Fools’ Gold reading via the audio player embedded below. Watch Reader’s Almanac in the coming months for further information about our Fools’ Gold audiobook and Women Crime Writers, both of which will be released in September.